Sizzle is my little ray of sunshine. Like all the others, he has a lovely natured with very sweet temperament; his cheekiness always made me smile. He is yet another mummy's boy. Although he is small in the body but big in attitude. He probably is my most successful Agility dog so far, he went from Grade 3 to Grade 7 in one season and already competing in a few Champ classes. 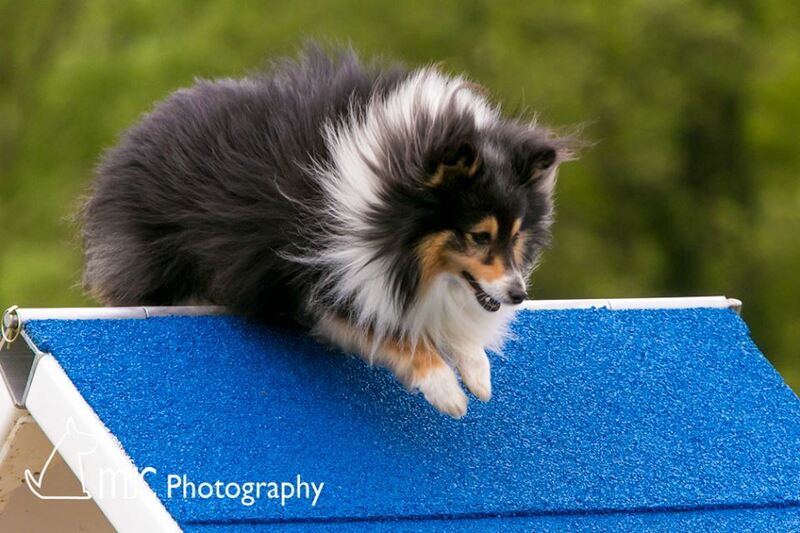 He won a Small Agility Reserved Championship Challenge Certificate at his second year of competing. He has also been in many major Agility finals and Crufts. Sizzle was selected to represent Team England at WAO in Blegium 2012. He was competing in the 320 height Division in Biathlon and Games events. He ran his little socks off and did me very proud by getting a 3rd in the Gamblers and 4th Overall in the Games, just missed out on the podium placing. He also ran a beautiful clear round in the Biathlon Jumping but I let him down in the Biathlon Agility that eliminate him from the podium placing. Sizzle was also invited to represent Team GB at IFCS in Spain 2013. He tried his best but unfortunately, mummy let him down again. Other than Agility, he has done some Flyball when he was younger and he has followed Sing's step to be another great swimmer! My dear little Sizzle was taken away too sudden and too quickly. There is no time for me to prepare for it but it was a right decision to let him go and pain free from a sudden illness. I always remembered him as the cheekiest little dog and made me smile all the times. I missed him terribly. Until we meet again, gone but never forgotten.